Hampi is a small village on the southern banks of the mighty Tungabhadra. It is today a world heritage site, the ruins spread across 26 sq kms of what was once the glorious Vijayanagar empire (AD 1343 – 1565) It can be easily reached from Bangalore and Goa as both cities are roughly equidistant from it. Hospet, the nearest railhead is 11 kms away. There is a night train from Bangalore, the 16592 ‘Hampi Express’ that departs at 10 pm arriving at Hospet at 07.40 am. From here one could take a taxi, bus or auto. 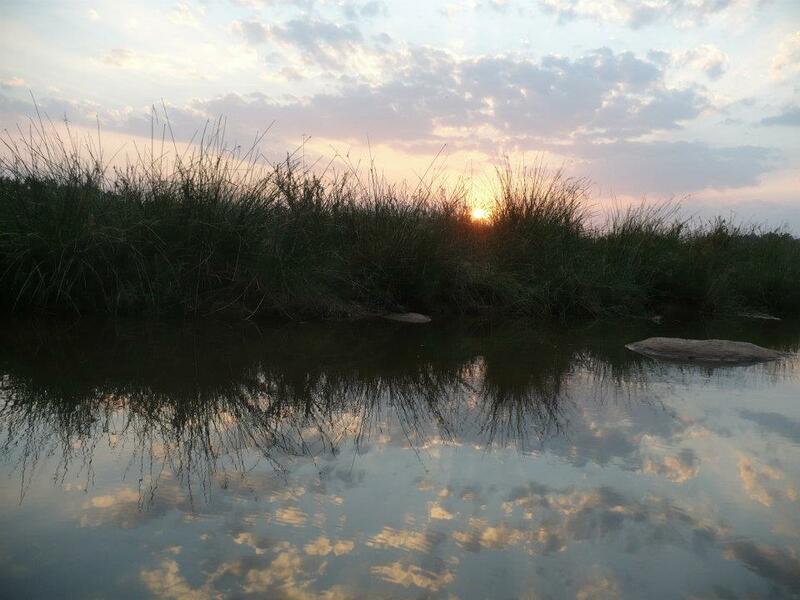 Most visitors prefer to stay at the several hotels & lodges in Hospet for Hampi is a mere 11 kms away. They can have a quick ‘dekho’ over the weekend. ‘Been there done that’ kind of thing & slip away. For their own selfish gains the Fat Cats have conspired with the establishment to promote it as a base for Hampi. But Hospet is definitely not for me. It is a dusty, brick & mortar town that is dull, boring, staid & characterless. Imagine the poetic beauty of Hampi juxtaposed with the ugliness of a modern Indian town. I much prefer the gentle folk of the charming countryside that the local mafia is desperately trying to browbeat into submission. In order to get the tourists to stay at their commercial properties in Hospet they are inventing all kinds of rules & regulations to declare the village homesteads irregular & illegal. Across the river is village Virupapar Gadde where I am going to stay. I want to go across in a Coracle, the tiny 2 seater basket that the villagers use but dare not because I cannot swim. I take the motor ferry instead. A noisy polluting affair. It takes 2 minutes to go across. The charges being Rs 20 – Rs 15/ with – without luggage. The ferry plies everyday from 7am – 6pm & it is always tipping because it is overloaded. “ Hey I CANNOT SWIM ” But who’s’ listening. This is India. Note: Please carry minimum baggage. I had a small rucksack only. Also the short walk from the ghats to the boat is through mud & slush. I wore 2 plastic shower caps over my shoes rinsing them with a bottle of Bisleri on reaching the opposite bank. I am booked at the ‘Shanthi Guest House’ (SGH), which is a 10 – 15 minute walk from the river point. No extra baggage remember. You have to lug it by yourself all the way. There are farms & homesteads a plenty but this village prospers & thrives on tourism. A single unpaved road runs through it – an entire village of a few hundred families only. It is clean, easy, uncomplicated & you never have to haggle for anything. Hope it remains unchanged, like this forever. The locals are a simple homely lot. They own the guesthouses, shops & eateries while the workers are from Nepal & Himachal mostly. The majority however are visitors from all corners of the globe. International flotsam & jetsam. No wonder cuisine from almost everywhere is readily available. That single nameless street has it all. Even the ubiquitous German bakery. Not to mention the reflexology parlor where I had a superb foot massage. And the Israelis are everywhere. Flying their flags & occupying territories. Much like the Russians in Goa. I have to say that the Karnataka countryside is extremely beautiful. It is lush & green with fields of paddy, sugarcane, banana & coconut palm. It is also a moonscape of giant rocks & boulders with the river meandering by. The rocks are everywhere & in all shapes & sizes. A bewildering variety that gives Hampi & its environs a unique colour. My accommodation at SGH is a thatched cottage in the midst of a small private garden. 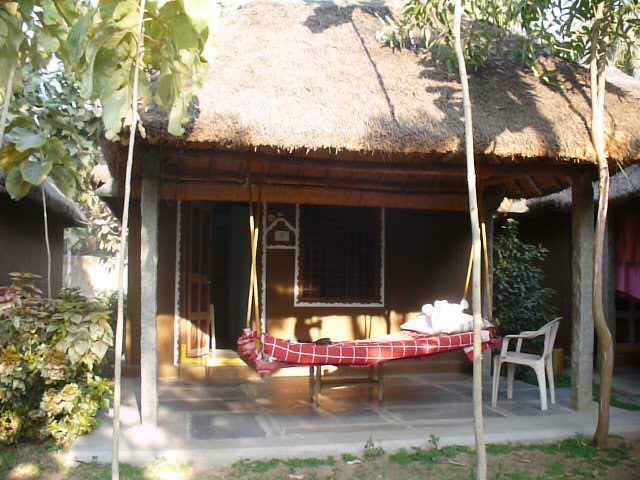 It is very basic & consists of a verandah that has a swing bed, the main room that is neat & functional & an attached toilet. All this at Rs 800 a night. (You could have a river view room for Rs 1500 instead.) The property has several cottages, all interlinked by stone pathways. Beyond lies the green of the fields, plantations & groves & further beyond the river. The whole area is largely unfenced giving one a sense of unfettered freedom & joy. Loved the mosquito net hung low over the bed. Can’t remember when I had last used one. Food at the SGH restaurant is just about okay but there is ‘Gouthami’ next door & it has excellent fare. I thought their pizza & south Indian thali really good. After a full day of sightseeing from monuments to ruins to museum this is the place to stretch out & relax. There are candle lit low tables, floor cushions, throws & mattresses. There is music, laughter & chatter as people exchange notes over tall glasses of beer & platters of food. There is Internet, Skype & Wi-Fi facilities & late night movies if you wish to watch. – ‘The Great Gatsby’ was playing one evening. The atmosphere relaxed & chill after a hectic day at the archaeological sites. Also one can’t help but notice that the crowd here is not the usual ragamuffin sort. These are serious young travellers who have come to a world heritage site & who treat it with the awe & respect that it deserves. The ruins of Hampi can broadly be divided into the royal & the sacred. You could see it in a day or over several days & you could do it in many ways – by car, by auto, on foot, motorcycle or bicycle. Bikes are available on hire & it is great fun riding across a lush green countryside spattered with monuments & ruins of a bygone era. I once cycled 5 kms away to Anegondi village & as luck would have it met an old gentleman who was a direct descendant of Krishnadeva Raya under whom the Vijayanagar Empire reached its zenith. Anegondi too is full of beautiful ruins. And the drive up is lovely. There are some temples & the Kishkindha resort. 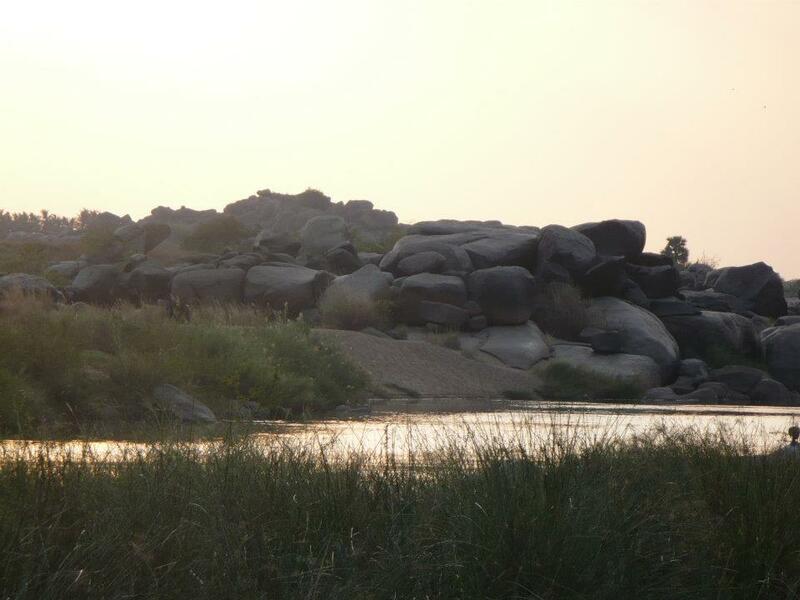 So named because Hampi & its surroundings are believed to be the Kishkindha of the Ramayana On the way to Anegondi lies the old Tungabhadra stone bridge which is no longer in use as the river has changed course several times & moved further away over the years. The bridge is also a protected heritage site. Peter an Austrian has chosen to live here. He has an organic farm – ‘Peters’ Land ‘ -thereabouts. Most hotels here shut down after March when the tourist traffic declines because of the summer heat. But the ruins? The ruins are what brought me here in the first place. The temples _ Virupaksha & Vithala, the grand Hampi bazaar, the Ramayana in stone, the Guard Quarters & Elephant Stables, the ruins of the ancient fortifications & much much more. One gets a breathtaking view of the magnificence of these sites, from atop Matunga Hill. Twenty six sq kms of glory to behold in its entirety. And while each & every monument is spectacular & bewitching my personal favorite is the Queens Bath. See it yourself to understand why.